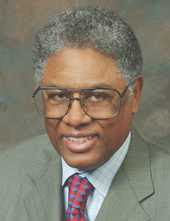 Thomas Sowell is a senior fellow at Stanford University's Hoover Institution. I regard him as one of the most thoughtful and reliable public intellectuals writing today. He has not been any more sanguine than I have been about the direction of the current administration, but in a column today, he expresses his anxieties with what seems a special sense of alarm and urgency. I recommend his piece. Did Sowell say anything similar about the PATRIOT ACT or the tax break for the topmost tax bracket or the rush to war in Iraq? If not then it appears to me his biggest issue is "Democratic idea: BAD". For my money the urgency was to avoid the ridiculous claims of the "death panels" and such. Would a reasoned debate be a good idea? Yes but we won't have that. The GOP has shown it will say no to anything. I would prefer Obama ignore them and get the reform passed. Where is the Christian concern for those who are driven to bankruptcy by the current system? For those who are denied care because of a pre-existing condition? For those who pay increasingly more and more for less and less?